Vision boards have gotten some great press lately. 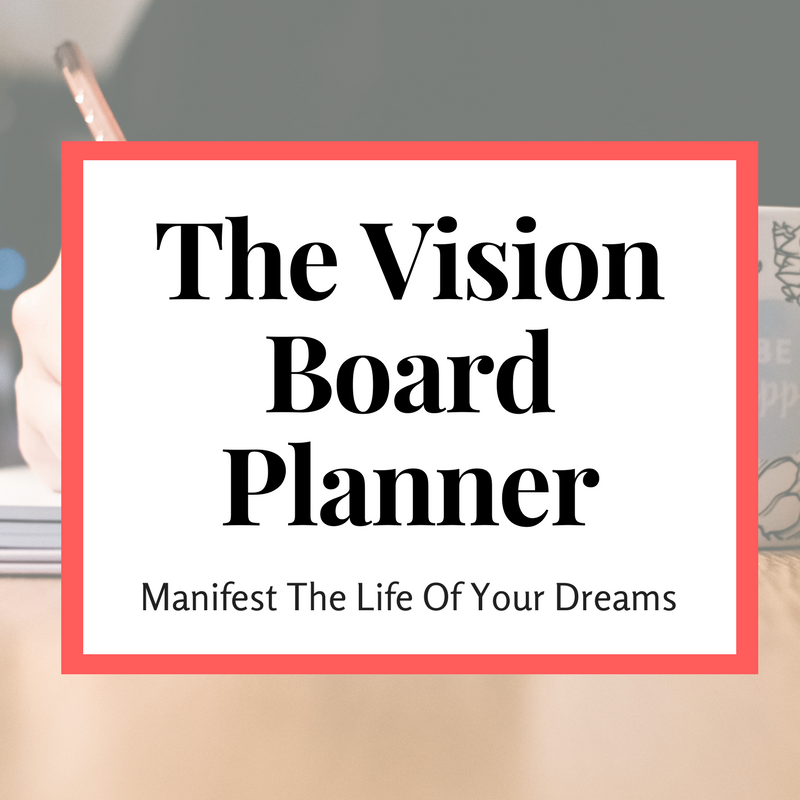 From giving you an opportunity to decide on what you want out of life and being a stellar way to visualize your future, vision boards have become a staple in goal-setting communities. Of course, we must turn everything into a mimosa-and-wine-driven experience, including the way we set goals. Thus, the need for a vision board party. I believed I'd create my own luck through hard work and perseverance. I didn't need some silly imaginary vision to be successful. After spending four years planning on going to medical school, one summer away from home at a medical program and one month in India shadowing doctors, I was rejected from every medical school I applied to. Though I'd graduated from college with a 3.85 GPA, ran several clubs on campus and was highly active in the community during undergrad, no one would hire me. Finally, I suffered the worst break up of my life (so far) which meant that I had to move out of my home and find a place to live... while losing my primary source of income... while losing the only future I planned on. It felt like my world was crashing down around me and there was nothing I could do about it. I started reading books. I started a blog or two. I started freelancing at nights and waitressing on the weekends. I started to accept that this was my life now. I couldn't save myself. Luckily, I have amazing friends that want the best for me (and I'm sure you do, too). My friend invited me to a potluck-style vision board party where everyone brought in one dish and one bottle of wine. I met several women her were farther along in their own personal journeys. (I think I was the youngest person in the room.) Over entirely too much wine, we swapped stories of struggle and triumph and dreams for the next 365 days. Everyone struggles at some point in their life. Personal pain and failure is not a direction result of your age, how you grew up or your educational background. Some women were making difficult life decisions. Others were hopeful that they'd find what they were looking for. Others, still were building empires. At any point in life, I could become one of these women. I, too, could turn my life around. Before attending the vision board party, I struggled for so long I started to feel like this was going to be my life and it was about time I got used to it. I stopped believing that I could change my life. I didn't believe I was capable of making a big life change. I believed that the doors were shut. I screwed up too early. I was incapable. Then, I talked to other women who'd been there, done that and lived to tell my story from a point of triumph. They encouraged me that my dreams were valid. I was so deeply depressed that I thought no one would want to talk to me. I was terrified anyone would ask me what I did for a living (my response would be "I fail for a living"). I never mentioned my school because it was a small liberal arts college no one's ever heard of. I believed I was overall unworthy of friendship, mentorship or anyone's time. In my head, I was a loser. Not only were people excited to talk to me, they told me that I was worth more than I was giving myself credit for. I was not unworthy. I was unaware of my worth. Prior to that vision board party, I was letting every new tip, ad, or vision of success drive my actions. If some online guru said they made a ton of money using social media or blogging, I tried it. I was willing to do anything and leaving my success completely up to whatever convoluted idea came my way. After failing in my career, relationship and finances, I didn't trust in myself enough to choose what felt right for me. Creating a vision board forced me to do what I hadn't done in over a year. I asked myself what I wanted to happen in my life next. I did not have a fully developed goal, but I walked away from the party believing that I could choose something that aligned with my personality. I got some of my peers together a few weeks later to complete my vision board. I wanted my friends to enjoy the shared experiences and crowdsourcing of ideas that I felt at my first vision board party. After replicating that feeling of inspiration and excitement about life with my friends, I wanted to have that feeling more often. I created a local community group where women met monthly to share things we've learned, talk about goals and hold each other accountable. I decided to figured out what I wanted out of my life. I started taking online classes in anything that sounded remotely interesting. I deeply pursued the coding. By the end of that year, I started to see glimpses of what my life would become if I continued down this path. That was the year I found my passion. The following year, I cut my expenses, quit all my jobs and went to grad school fill time. The year after that I graduated with a job in my field, effectively tripling my income. 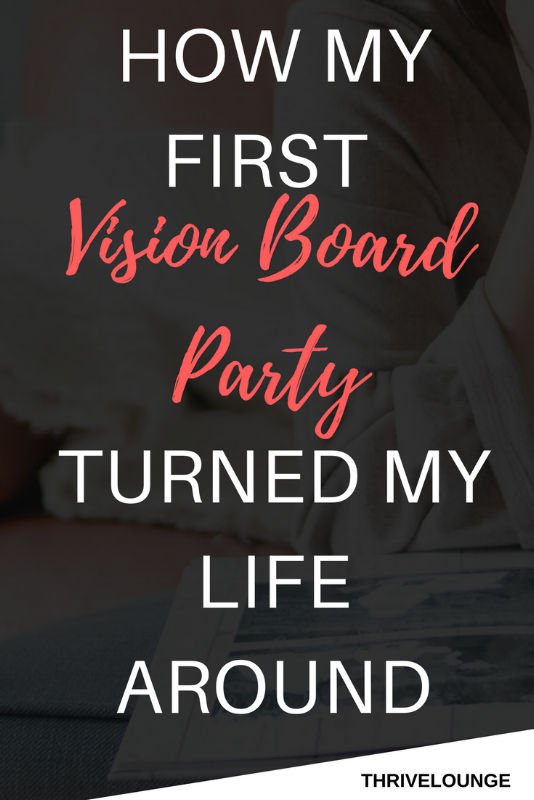 It all started with everything I learned at my first vision board party. If you're wondering whether to host a vision board party this year, do it. Even if you feel like your life is going well right now, do it for a friend.